Yesterday a good friend(who is from Boston so most photos are Red Sox related!) 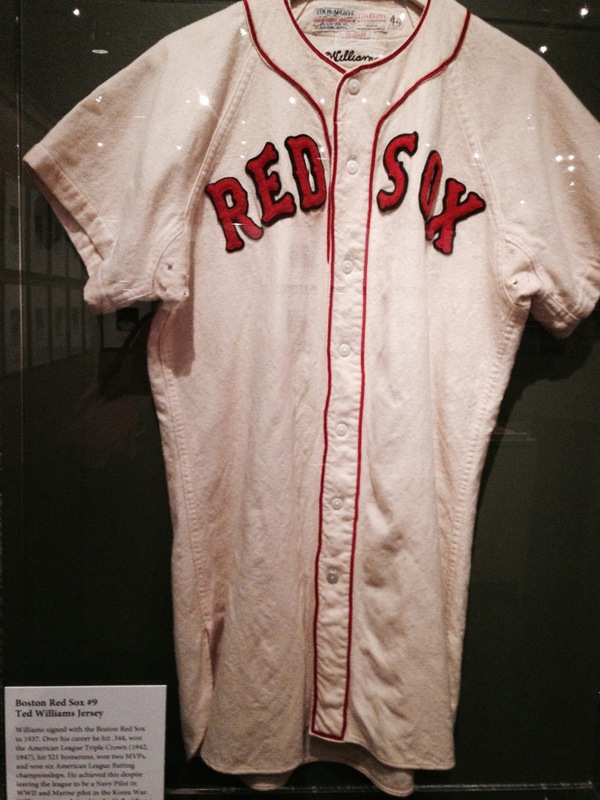 went to the Baseball Exhibit at the Reagan Library in Simi Valley,CA and reported it was quite amazing. 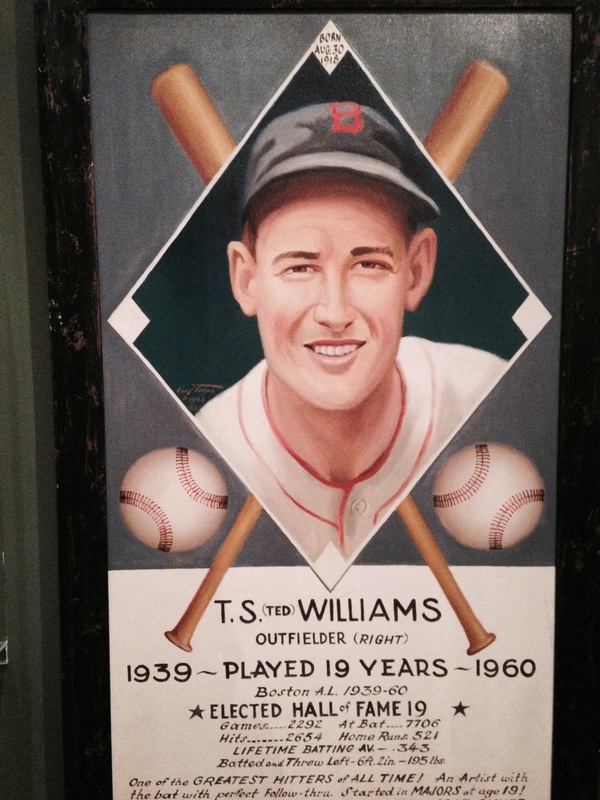 A treasure trove of the most rare baseball memorabilia, all one person’s personal collection. (Anonymous). 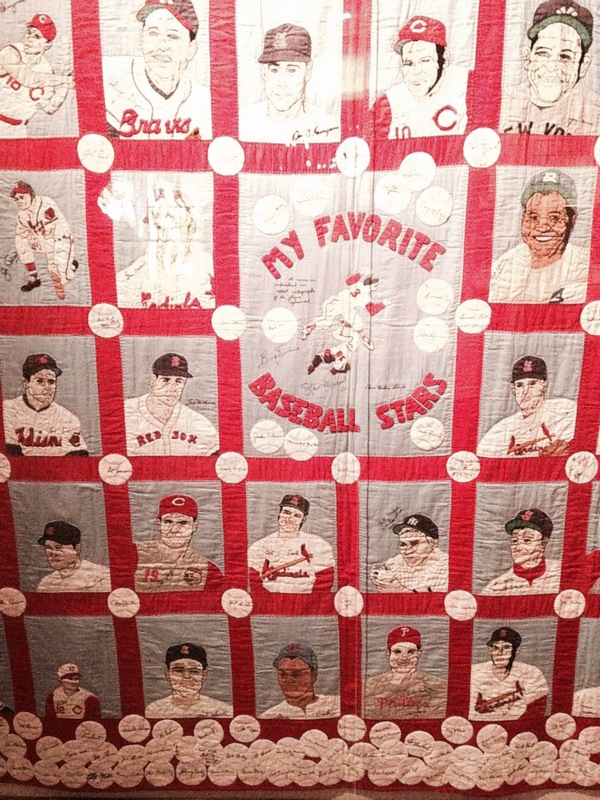 There are a few different hand quilted wall hangings/bedspreads that are incredible… one of the pictures shown above has hundreds of “autographed baseballs”; the woman sent the cloth to all of the players for their signatures and then she embroidered over them in very fine thread. She hand appliquéd the portraits as well. I can’t begin to imagine how long it took! One piece of trivia learned: in order to sign 19 year old George Ruth to his first contract, in Baltimore, the team manager had to adopt him. 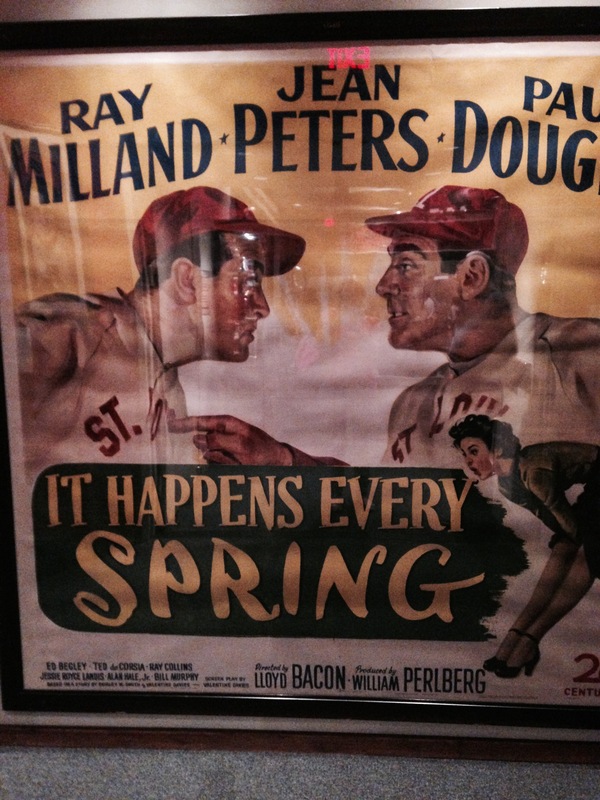 The other players starting referring to him as the manager’s “new babe”….hence the name! 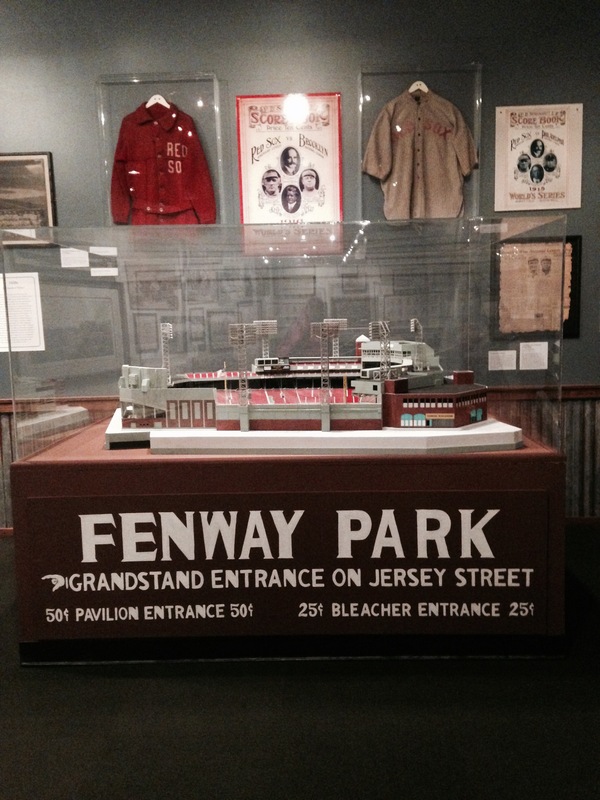 The exhibit opened on April 4th and will close on September 4th,2014. 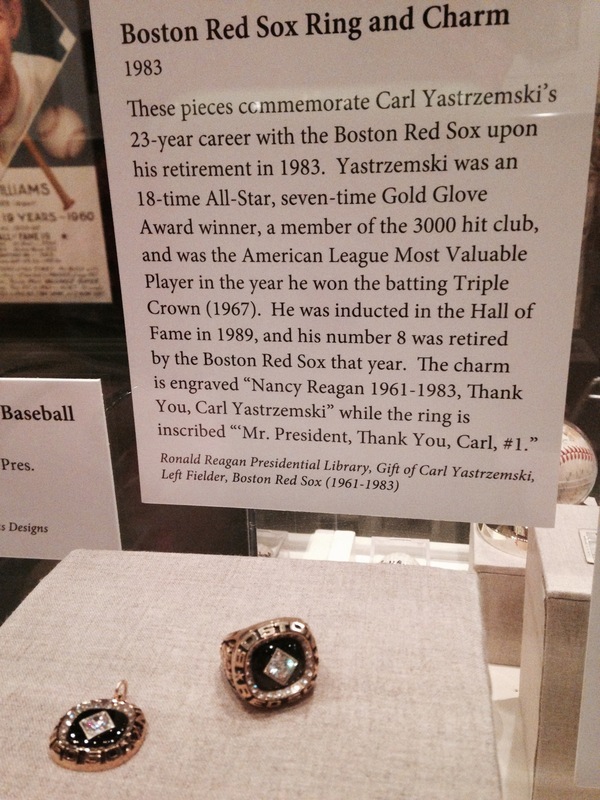 This entry was posted in art work, books, California, museums, photography, sports, travel and tagged baseball memorabilia, California, Collections, History, Reagan Library, Red Sox, Sports, travel. Bookmark the permalink. as always thank you so much! Keep em coming! Great stuff as you probably know I am an avide Baseball fan , love to see old stuff like that , thank you to the who did all that work .